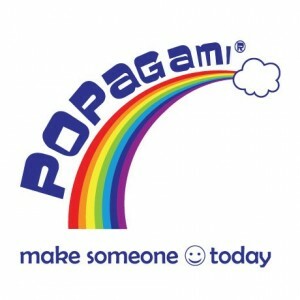 This morning I have a Combo pack from Popagami up for grabs, worth £7.99. Welcome to the World of Popagami and your adventure into Popagami animals. The designs and guide inside this book will help you make the very cute and unique finger puppets for you to play with. The book also includes three designs where you can create your own unique animals! Visit our website at www.popagami.com to find out about our other titles, products, news and new releases. There are also games, activities, competitions and a photo gallery to browse. Happy folding and be kind to all animals, including our paper ones! We reviewed a Popagami Combo pack recently and really enjoyed creating the fun origami animal heads! Georgie loved playing with our completed creations and it will be fun to teach her to make them herself, in a few years. Which Pop-Ette is your favourite? Thank you for entering, good luck! This competition ends on 29/10/13. Innocent Rabbit Theyre great! very creative. Cleo the Cat – how cute!